Everyone loves the Tracker.Net interface and functionality. I re-purposed two courses and put them up there for test driving and so far so good. First of all thank you again for a great product in Tracker.Net. We have just completed development work for our first client and I'm taking the system over tomorrow to install it. 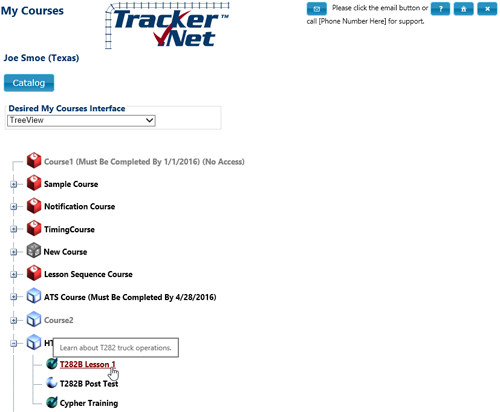 We think the combination of Tracker and our training software is going to be very powerful offering.